The Rolling Stones continue to roam through their vast, and bursting at the seams vaults to release VOODOO LOUNGE UNCUT in multiple formats on November 16. Featuring restored, and remastered performances from the "Voodoo Lounge" tour in 1994, the footage comes from Miami with ten never before seen performances. Also included are five bonus songs from Giants Stadium in New Jersey. Filmed on November 25th 1994 at Miami's Joe Robbie Stadium, the show's futuristic staging was way ahead of its time and set a new bar for stadium production, helping it become the biggest grossing tour ever at that point. This new version of the 90's video has been recut and restored from the original rushes, includes newly remixed and remastered audio, and reinstates the ten tracks cut from the original release back to their original running order for the first time. 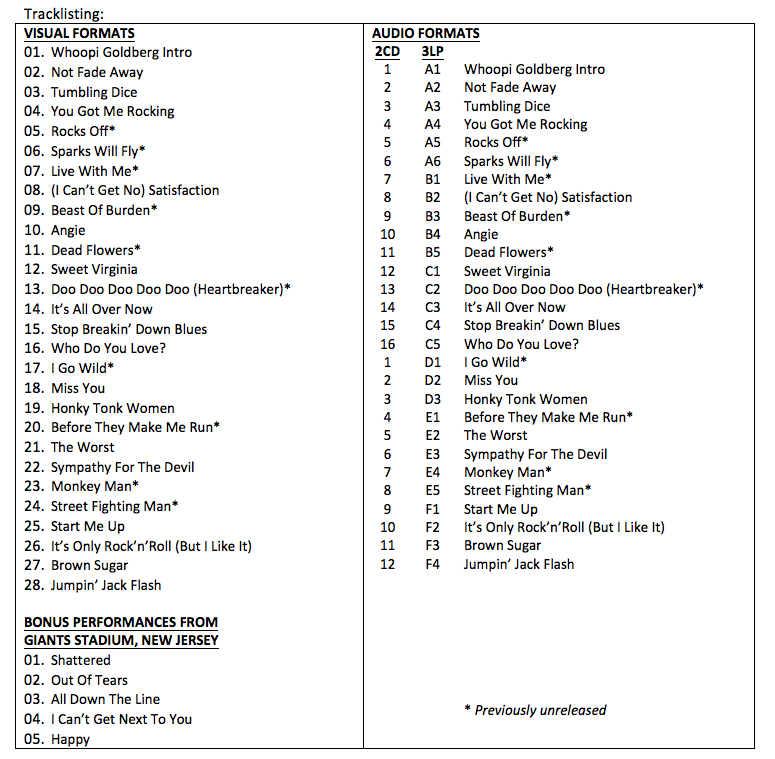 Bonus features for visual formats include five tracks from an earlier show at Giants Stadium, New Jersey, that were not performed in Miami, making this the definitive record of The Rolling Stones on the road in the mid-nineties. Guest performers Sheryl Crow, Robert Cray and Bo Diddley make appearances. "Voodoo Lounge Uncut" will be released by Eagle Vision on November 16th on multiple physical and digital formats including DVD+2CD, Blu-ray+2CD, triple vinyl, digital video, digital audio and HD digital audio . For a limited time, an exclusive red vinyl triple album and 'Voodoo Lounge Uncut" t-shirt will be available directly from rollingstones.com.